Physics Fan Cart #makereducation « Adafruit Industries – Makers, hackers, artists, designers and engineers! Wonderful project tutorial for educators from bclamore via instructables. A common piece of physics lab equipment is a device called a “fan cart.” Perhaps you used one yourself when you were in high school of college? A fan cart is essentially a low-friction dynamics cart, commonly used to study motion, momentum, energy, etc., fitted with a motor and propeller or “fan.” The fan provides a constant force, which conveniently produces a constant acceleration. Fan carts are available from science lab supply vendors, but some are cheap, break easily, and lack features while other higher quality fan carts are sometimes expensive for science departments on a budget. 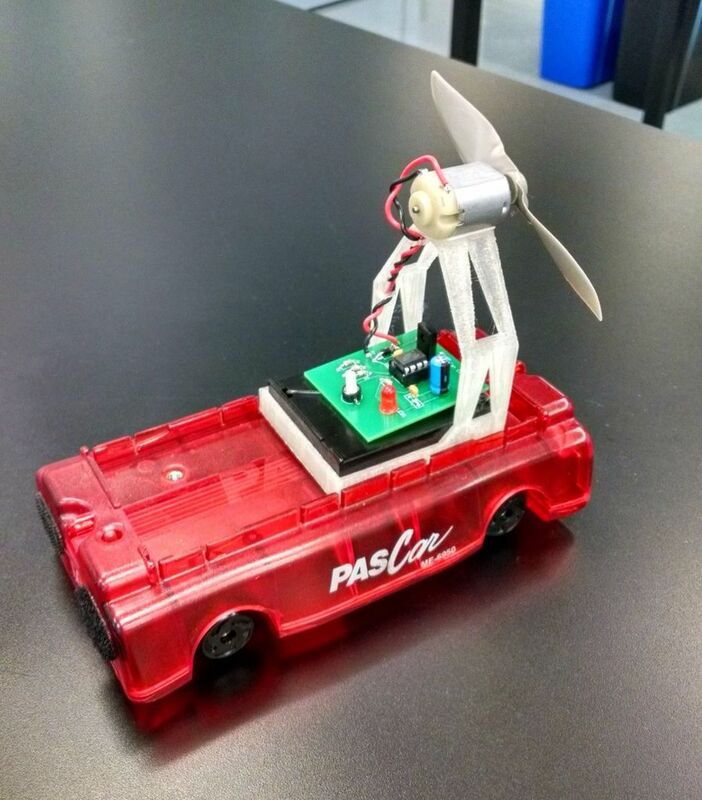 I have designed a low-cost, programmable fan cart that fits in existing dynamics carts (most physics labs already have dynamics carts), and this Instructable describes how to make one.